Time flies. We have again arrived at the starting point of another year. Spring is coming, a time for everything to renew. So, at this time to bid farewell to the old and usher in the new, on behalf of School of Economics and Management, we would like to extend our greetings and best wishes to all the teachers and students, to retired professor and alumni home and abroad, to all leaders, partners and all walks of life who care and support our school! The year 2018 marks the 40th anniversary of our reform and opening-up. It is also the starting year to fully practice the spirit of the 19th National Congress of the Communist Party of China and an important year for our school to implement 13th Five-Year Plan and achieve Double-First Class. In 2018, all the staff and students of our school emancipated their thoughts, deepened reform and forged ahead. We followed the trend to accelerate reform and innovation of our school and achieved a good result. In the past year, we have insisted on moral education and cultivated people. As a result, our education quality has improved significantly during last year. In terms of undergraduate education, about 30 teaching reform projects have been approved. We’ve drafted the English version of 23 education plans of undergraduate students as well as 288 course teaching programs and introductions. 58 innovation projects for undergraduate students have successfully finished this year and another 62 projects have been approved. With the help of 47 teachers, 180 students have participated in 68 academic research training programs. In 2018, we’ve organized more than 10 academic competitions. More than 2000 students took part in these competitions and won over 30 national awards and 10 Beijing awards. We’ve made a sound preparation for the undergraduate teaching assessment and was highly praised by experts. In terms of graduate education, we have given overall considerations of market needs, teachers and teaching conditions. We adjusted enrollment major and scale, continued to manage the whole process of selection, education and graduation in order to improve the quality of graduate students. In 2018, 938 students completed master degree, 64 doctor degree. 20 individuals and many classes won awards in Beijing. Self-assessment has done for four degrees authorization spots of first -level disciplines and MBA, MPAcc, logistics engineering and industrial engineering. In all, more than 61% undergraduate students have chosen to further their studies and 100% graduate students have found their jobs, which is the best among history. Besides, three projects hosted by our school have won the first prize of Beijing Teaching Achievement Award, two projects the second prize, which also made a new history. In the past year, we kept innovating and strengthened academic research and discipline capabilities. The whole year has witnessed 277 new academic research projects with a total of 54,360,000 yuan contract funds. It is also the fourth year that our project has been selected as Major Projects of the National Social Science Fund. The results are encouraging. 181 journal papers have been published last years. Among them, 81 papers are CSSCI, 36 SCI/SSCI, 42 EI. 19 monographs have been published. We also hosted some influential academic forums and promoted the reputation of disciplines. 13 advise and reports by our experts have been accepted. Eight ones have been read and implemented by the state and provincial leaders. National Academy of Economic Security was founded and Academy of The Belt and Road Industry has become one of the member academy of Belt and Road Think Tank Cooperation Alliance under the International Department, Central Committee of CPC. All of these have marked our school’s entrance into the new highend national think tank. Seven case studies won One Hundred Best Management Case Study Award, making our school one of the three schools which have won the most awards. Economics and management have been listed in Shanghai Ranking's Global Ranking of Academic Subjects 2018, showing great comprehensive ability. 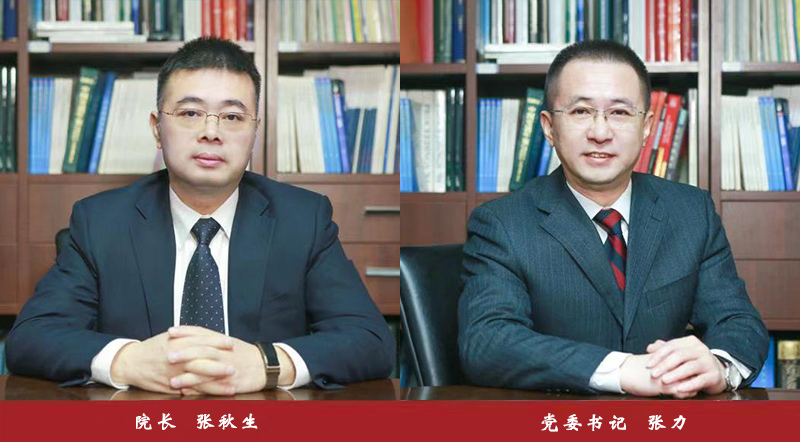 Besides, teachers of our school have been chosen as global highly cited scientists and won important awards in Chinese technology economy, system engineering and information economy sectors. Effective teacher construction provides a sustainable guarantee for our discipline development. In the past year, we have always adhered to the principle of an open education and achieved fruitful results in all kinds of exchanges and cooperation. All the year round, 16 high-end training courses were held for all sectors of society, with a total of nearly 3000 people trained. More than 100 new part-time professors were employed. 34 new enterprises formed a cooperative tie with our school and more than 2,000 effective alumni information were added to the alumni database. More than 80 alumni activities were carried out with 2 million yuan of fund raised. Jointly with the Chinese Federation of Enterprises, the "Innovation Hall of Entrepreneur Management" was held to build a high-end collaborative innovation platform for industry, education and research. Important progress has been made in international certification. AACSB's first certification of self-assessment report was approved. The Assurance of Learning (AOL) System and related curriculum construction have achieved the first round of phased results. EQUIS Datasheet has been approved by the European Management Development Foundation and our school has officially entered the preparation stage of EQUIS Certification Self-assessment Report. Ten new international exchange projects were added throughout the year. 241 students were sent abroad for exchange and 320 long-term and short-term exchange visits were received. Ten teachers were sent abroad to conduct exchanges and visits for more than six months. Nine new courses were offered in English or bilingual, and 156 courses was given by foreign teachers in English. Leaders of top international journals were invited to carry out 35 editors-in-chief face-to-face activities. We also successfully convened the 4th International Advisory Committee Meeting and invited the presidents and experts of the world-renowned business schools to gather in Yanqi Lake to discuss the development of business schools under the shared economy, which aroused the attention of within this industry. In the past year, we have always adhered to people-oriented management and our service system is becoming more and more perfect. We placed our emphasis on strengthening the construction of academic committees and related special committees to give full play to the role of internal governance. The mode of running a school with one school and multiple districts ran smoothly. We completed the planning and construction of the school history wall gallery in the ninth floor of Sidong, alumni return themed wall, alumni donation Wall and enterprise cooperation wall. We also completed the renovation and upgrading of the student center in the fifth floor, classrooms for case study in the third floor and staff room gymnasium in the basement of Sidong Teaching Building. We have developed rich and colorful cultural and sports activities, invested special funds to make physical examination projects for teachers and staff and insisted on holding collective birthday parties for teachers and staff every month, which all constantly improved happiness and satisfaction of all teachers and staff. We continued to promote the informationization construction, built a personnel management system, financial management system, project management system and asset management system that are oriented to the internal management of our school, and we have initially realized the informationization management of people, finance, affairs and materials. We have also focused on strengthening brand influence force. More than 30 major national and industrial media reported more than 300 times on the achievements of our school throughout last year. The number of clicks on the official Wechat monograph of our school was more than 10,000. Eduniversal World Excellent Business School ranked our school as the 10th in China Mainland Business School, improved first in the past four years. Thus, the international influence of brand of our school continued to increase. In the past year, we have always adhered to strict governance of the Party and its overall leadership has become stronger. We established and improved the working mechanism of collective leadership, division of work and cooperation between the Party and management and focused on strengthening the political core role of the College's Party Committee and its leading role in Party building. We have strengthened the ideological and political awareness of the staff team, firmly established the "four consciousness", strictly implemented the "eight regulations", earnestly carried out the "one post, two responsibilities" and constantly improved the political theory literacy and the ability to run and manage the school. We continued to standardize the construction of the Party branch of teachers and students. Two party branches were awarded the university’s model branch of Party building. We improved the quality of Party members. 113 Party members were recruited throughout the year, including 2 outstanding young teachers. This is the first time in 15 years that teachers have been recruited to the Party. We also tamped the construction and management of ideological position, the results and experiences of which were selected as Excellent Cases of Network Ideological and Political Work of our university. We have coordinated the work of trade unions, educational congresses, united front, retirement and the Communist Youth League. The election of the college teaching Congress, trade union members and the recommended election of representatives of the school teaching Congress were successfully completed. The College League Committee was once again awarded the May 4th Red Banner League Committee of Beijing. New achievements have been made in the Party's youth work. There are 73 Party branches of teachers and students and 1232 Party members who play a central role in the reform, development and stability of our school. Looking back on the past, we have gone through both rains and storms. Looking forward to the future, we have a firm pace. 2019 is the year to achieve the goals of the 13th Five-Year Plan in an all-round way, the deadline for the fifth round of subject assessment of the Ministry of Education and also the decisive year for our school to promote the authentication of the international business school. We have arrived at a time when we face difficulties and must progress. We need greater determination, courage and strength to unite, face difficulties and strive hard to accomplish all tasks with high quality, to work together to push the development of the college to a new level and to salute the 70th birthday of the great motherland with outstanding achievements. Last, we sincerely wish you and your family a happy New Year!